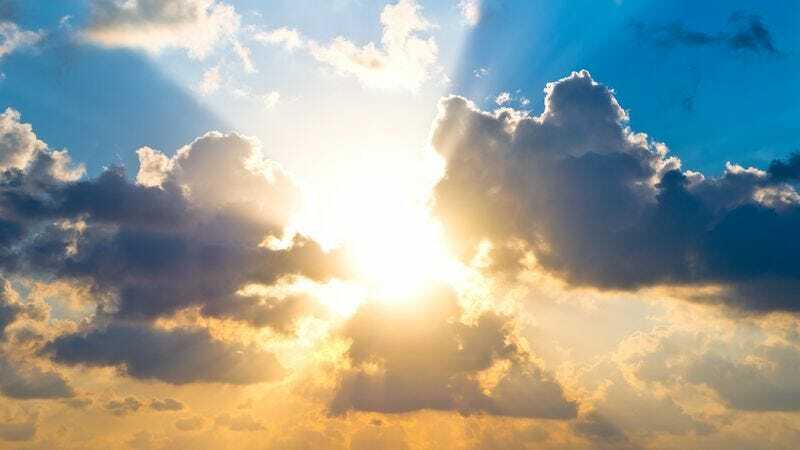 WASHINGTON—According to an alarming new report published Monday, roughly half the population of Heaven is composed of total assholes who begged for God’s forgiveness at the last moment before dying. “Our data show that 50 percent of the inhabitants of the Heavenly Kingdom were total pricks and sleazebags on Earth who waited until their very final breath to plead with God for mercy,” said report co-author Janet Ryder, adding that a survey of celestial records confirmed that one of every two residents of the eternal paradise willfully lived sinful existences and shamelessly committed immoral acts before seeking clemency in the closing seconds of their lives. “What we found particularly interesting is that those who truly committed themselves to God by leading lives of virtue and doing good works are actually outnumbered by hate-filled scoundrels, petty criminals, and murderers who humbled themselves before the Lord and turned from their wicked ways at the last possible moment to con their way into Heaven.” The report also confirmed that 28 percent of the inhabitants of Hell had only sinned once or twice but never had an opportunity to repent.